Sustainable Ag is tough down here. Let’s face it, most of the states in the Southern SAWG region are hot and humid. This gives us more challenges in terms of weeds, pests and overall productivity than most of the rest of the nation. Maintaining soil health is also a bigger problem. We need to keep good production research going that will help farmers address these issues as sustainably as possible. The South has some of the worst nutrition in the nation. While we certainly like our Southern food, we lead the nation in poor health due to nutrition. 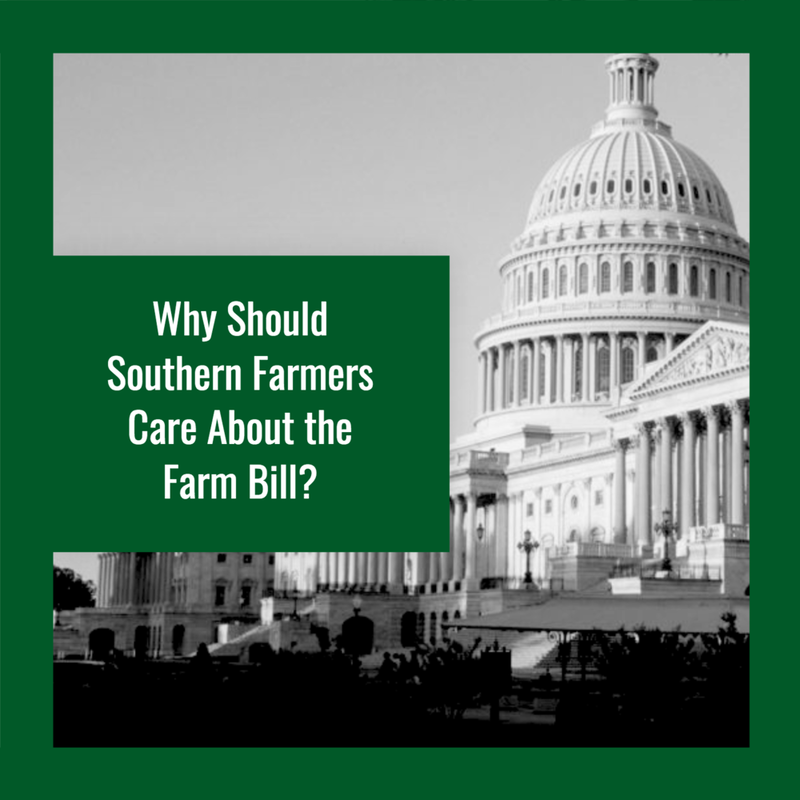 Southern Farmers can encourage development and funding of Farm Bill programs that promote both good prices for farmers and good food for all people. People of color have experienced a disproportionate level of discrimination in farm programs and the Farm Bill provides opportunities to level the ground here. Clearly, the South has much to gain (or lose) by whatever comes out of the Farm Bill process. You can make a difference in the outcome and now is the time to look into it more and take action. If you’d like to learn more you could check out the webinars that Southern SAWG and NSAC (National Sustainable Agriculture Coalition) held last fall about the Farm Bill. Go to this link and take a look. You should also visit this NSAC site to learn about NSAC’s Farm Bill platform and specific actions you can take. Finally, join in on Southern SAWG’s quarterly PCAN (Policy Collaborative Action Network) calls to stay in touch with Farm Bill progress and share your ideas and thoughts. Contact Gabraelle Lane, Southern SAWG’s Policy Coordinator, to learn more.